Daniel Nistico is available for private guitar instruction in Melbourne and for lessons via Skype. After giving hundreds of live performances, playing for examinations, competitions and live radio, I know how important good practice can be. Many guitarists get into a cycle of bad practice habits. The fact is that practice doesn't make perfect. Creative and amazing practice makes perfect! If you don't change your practice habits and mindsets, then you will make very slow, or even little to no progress! You actually can make your errors and memory even worse than when you began. I don't want you to suffer through that and think the guitar is just too difficult. Once you start practicing with new and creative mindsets, then you will no longer be disappointed at your playing. You will come home after playing for people, or after an exam, and your insides will be glowing with joy. You won't ever want to stop playing for people, and your skills on the guitar will just keep on getting better by the day. These special practice methods are not easy to find. Google 'practicing guitar' and you'll get information that is often unreliable and even misleading. You could trove through books and eventually, find this information for yourself, but that takes many years - I've done that work for you. Your teacher probably doesn't often talk about practice methods because you're spending so much time fixing problems in your lessons. You won't make those huge leaps you're craving for unless you change your practice habits and mindsets. Don't waste any more time and make these changes now. Take lessons with me and I will give your practice the makeover you've been waiting for. Click here for more information on the Skype lessons offered by Daniel. Daniel recently completed a Doctor of Musical Arts degree (abd) at the Eastman School of Music, one of the USA’s leading music institutions. There he studied with Nicholas Goluses and Grammy-award winning artist Paul O’Dette, one of the world’s leading early music specialists. 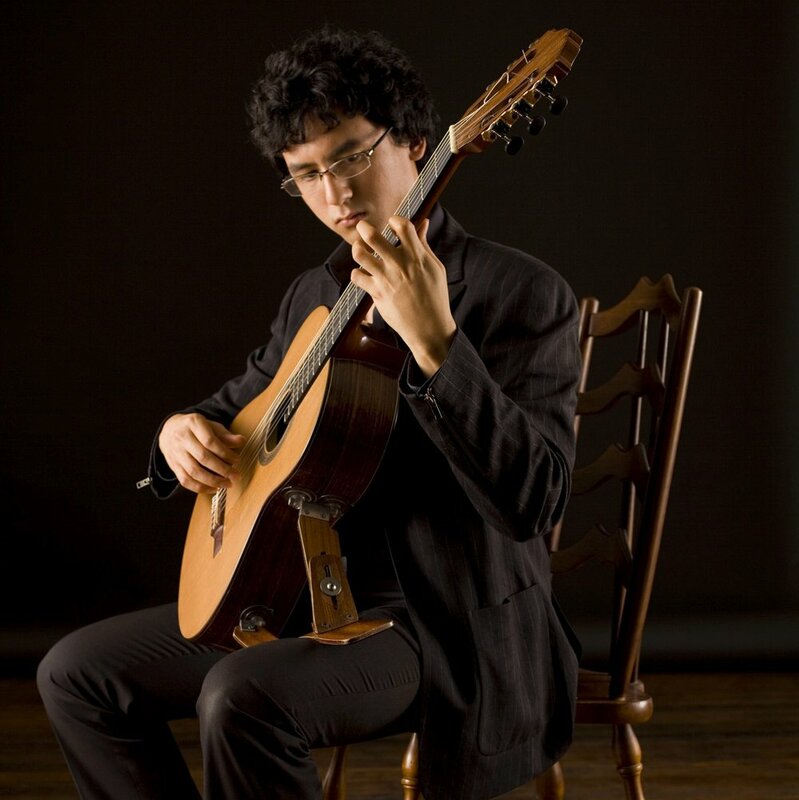 Daniel was the first guitarist in the school’s 94 year history to be nominated for an Artist Certificate award, which acknowledges performance standards of the highest quality. Daniel completed his Master of Music at the Melbourne Conservatorium of Music, and received his Bachelor of Music (Hons) from the Victorian College of the Arts. At both institutions he studied with Aria-award winning guitarist Tonié Field and internationally renowned pianist Dr. Donna Coleman.